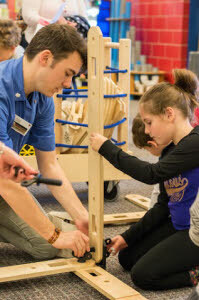 The Rigamajig, a new large-scale building kit made possible by a grant from BlueCross BlueShield of Tennessee Health Foundation in conjunction with KaBOOM!, will be available for Creative Discovery Museum guests to play with starting March 12 in the newly-expanded Make It Space. 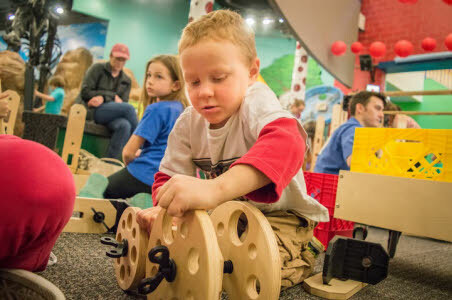 Guests can construct a variety of configurations of the toy to perform various engineering tasks. 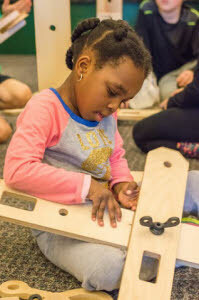 Since its debut in 2011, the Rigamajig has found its way into numerous schools, playgrounds, children’s museums, and backyards throughout the world. The idea for the kit was originally conceived and designed as a custom play feature for the High Line Park in New York City by Cas Holman and Friends of the High Line in collaboration with Early Learning Educators, Woodworkers and Children. For more information, visit cdmfun.org, or on Facebook, Twitter and Instagram.